The SNES Classic might spell the end for backwards compatibility - but should it? 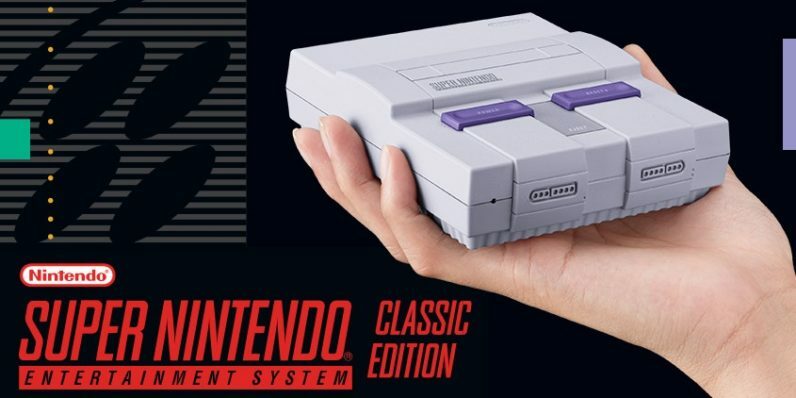 The SNES Classic might spell the end for backwards compatibility – but should it? As hardware and software evolve further away from their 8-bit beginnings, preserving the past in a medium worthy of the present gets harder to do. To keep the essence of the artform alive, games need to remain playable — even decades after their initial release. This, obviously, is easier said than done. So what are our options? Each of the three major console manufacturers have their own solutions. Nintendo: Older games? Have this niche console! Until recently, Nintendo consoles were compatible with one previous generation. The Wii can play GameCube games, the Wii U can play Wii games, and the 3DS can play DS games. Then, the company hit upon the idea of packaging some of its oldest titles into nostalgic consoles that work on modern televisions. That’s how we got the NES Classic, Famicom Mini, and the upcoming SNES Classic. The upside of this approach is that the oldest games in the medium — which would be virtually impossible to play on the newest consoles without some radical form of internal emulation — exist for future generations. The downside is that only a select few titles from the spotlit generation are brought along. It might not have all the titles you’re looking for, but it exists. And because it does, Nintendo has an easy argument against backwards compability. Microsoft augmented its current-gen console with backwards compatibility two years ago. While not all Xbox 360 games are available to play on the Xbox One, the list of those that are is growing rapidly. The feature rewards those who already own the games, since you can pop the discs in and play them on the One with no issue. The company also confirmed this year that it’s extending backwards compatibility to the original Xbox. This would make it the first console, to my knowledge, capable of playing three generations of physical media — assuming you saved that copy of Knights of the Old Republic. Sony: Backwards compatibility? Why would we want that? That said, Sony does do backwards compatibility — kind of. While the PS4 has very few classics (not including remasters), there are several PS1 classics on the Vita handheld. But there’s no way to play existing physical copies of the games; you have to buy them. Sony provides the counterpoint to both of its rivals by showing what backwards compatibility looks like when it’s built into pre-existing consoles yet also requires gamers to purchase old games again. So we’ve seen the pros and cons of each approach. With backwards compatibility, you give gamers the convenience of playing multiple generations of games on a single console, while potentially saddling them with the expense of buying each game. Nostalgic consoles deliver a retro gaming experience in a dedicated turnkey console, but they have comparatively few games available. If console makers could find a way to allow users to download other older games onto a single retro console — say, through a small market or library within the console itself — I think we’ll have found the perfect retro gaming solution for future generations. Update 7/21: Just to be clear, I’m aware the Nintendo Switch has a few classic games as part of its online service. By Nintendo’s own admission, though, the Switch doesn’t have backwards compatibility. If anything, that’s closer to what Sony is doing with PS1 classics. It’s not quite the same thing as making your console capable of playing most or all games from a previous generation.